The development benefits from being directly opposite St Anns shopping centre, which has a wide range of restaurants and shops, and in addition is a 2 minute walk from St Georges mall, which also has a multi-screen Vue Cinema complex.The Metropolitan tube and Chiltern Railways take you direct to Rickmansworth in 10 minutes, Marylebone in 16 minutes, Uxbridge in 18 minutes and Baker Street in 19 minutes. Earls Court is home to Supercity’s first aparthotel. Opened in 2009, Templeton Place offers 30 suites that are still as fresh today as they’ve always been. We are just 3 minutes walk from Earls Court Station (30 minutes journey time to and from Heathrow Airport), and with easy access to supermarkets and restaurants. 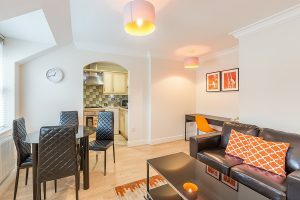 Marlin Empire Square Serviced Apartments London Bridge just a stone's throw from Borough tube station, nestled amongst the endless stylish bars and restaurants of the London Bridge area, this serviced accommodation has everything you need to fully enjoy your stay in style. Ideal for socialising and exploring. Twenty years ago, this was rough-and-ready Hackney heartland, then London's artists moved in and now it is the trendiest place in the capital, a Mecca for skinny jeans, checked shirts, ironic haircuts, edgy art galleries and hip bars that play music that will only become fashionable in about six months time. No.1 The Mansions by Mansley is an elegant London mansion style property built at the end of the nineteenth century. 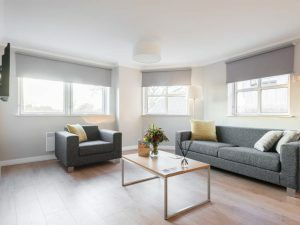 The accommodation offers a superb selection of extremely comfortable serviced apartments in Earl’s Court, Kensington, London.Our London serviced apartments provide exceptional comfort and facilities to suit your needs. The accommodation offers a variety of layouts, from studio apartments to a luxury four bedroom, three bathroom, apartment, offering flexibility, space and comfort for larger family groups. Marlin Queen Street Serviced Apartments St Pauls: based in the shadow of the iconic St Paul’s Cathedral, our serviced apartments are the number one accommodation choice for tourists looking to enjoy the buzz of fast-paced city life. When you choose to stay at Marlin Apartments Queen Street all of the major tourist attractions are on your doorstep to enjoy. Fully renovated in June 2017 our serviced apart'hotel is stylish, modern and aptly furnished with the amenities and services required to aid any business or leisure stay. Situated to the north of the city's financial district and known by locals as the cultural melting-pot centre of London, the Barbican neighbourhood is home to some of the city's hippest gastropubs, art centres, indie cinemas and museums. 44 Curzon Street by Mansley offers a wide selection of Mayfair serviced apartments designed to provide comfort, privacy and value for money in an outstanding central London location. 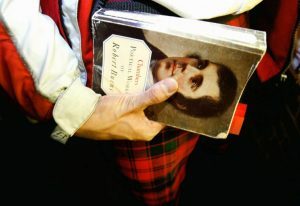 Whether you are travelling on business or leisure, our aim is to make you feel at home. We have been the owners of 44 Curzon Street London apartments for over fifty years. 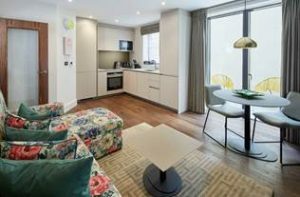 Set in the pulsing heart of Central London's City of Westminster that was built around the area formerly known as Charing Cross, Citadines Trafalgar Square London is a skip away from the hustle and bustle of the historical city. Within a 5-minute walking distance from the residence is the Charing Cross Underground Tube Station. A comfortable central London hotel offering suites for longer stays with kitchens and free Wi-FiIn a quiet street, Staybridge Suites® London - Vauxhall hotel offers apartment-style accommodation five minutes' walk from Vauxhall's bus and Tube stations, with fast connections all over the city. You can take the River Bus from nearby St. George Wharf to the O2 concert arena or ExCel London exhibition centre, a trip that passes the London Eye and Big Ben. Cramer House is a private and centrally located property with split-level, one bedroom duplex apartments. They have a private internal staircase and a separate cloakroom. Cramer House is furnished to a good standard and a lift serves all floors. Located in Marylebone, which is a lovely and popular district just north of Oxford Street and a few minutes’ walk from Bond Street underground station. The location is ideal for Harley Street and Baker Street with an extensive array of shopping, eating and leisure facilities nearby. The below information applies to the UK nationwide as well as London. London is our major location destination. We specialise in London accommodation including short let, serviced apartments, hotels, aparthotels and vacation rentals. We advise on and book central London serviced apartment properties in Kensington, Mayfair and the West End, The City of London, Hoxton, Shoreditch and London Docklands as well as in the London suburbs and outskirts from zones 1 and 2 through zones 3, 4 and beyond as well as all London airports (Gatwick, Stansted, Luton, The City Airport and Heathrow Serviced Apartments), the M3 and M4 Corridors and Home Counties. 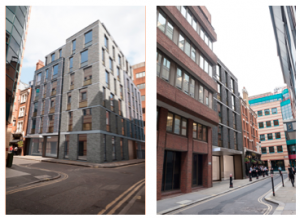 For corporate clients, we advise on London short let apartments. And for the leisure client, we advise on how to make the budget go further whether in basic, standard apartments, superior mid-market, deluxe & luxury apartments. We also advise on the increasingly popular vacation rental holiday apartments which offer quirky accommodation so that you can live life like a local, whether with the family or on business. City Centre self-catering accommodation. We specialise in corporate serviced apartments. These properties are also very popular as holiday apartments and vacation apartments for leisure stays. Serviced Apartments vary from traditional to trendy. There are large luxury apartments with ornate furnishings as well as modern, minimalist and retro apartments and lofts. In short term rentals London can be up to 30% cheaper than hotel accommodation of a similar standard for those who are happy to forsake the facilities of hotels in order to live like a local, because executive serviced apartments allow space to work and relax. Searches for the right property may include: short term accommodation london, short term lets london and short term rentals london. 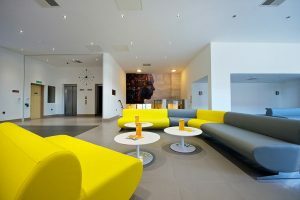 Extended Stay hotel in London and the UK are the popular middle-ground and the best of both worlds for many. They provide hotel facilities such as reception, self-service snack and bar and a communal area to meet other guests, whilst still offering a self-contained apartment. Ideal for corporate housing, as well as for training, temporary assignments & relocation. The Extended Stay Aparthotels London concept is already successful in the United States and has added another dimension to the London hotels sector, championed by the popular global hotel brands as well as increasingly by smaller, independent, boutique hotel brands. The hospitality sector continues to fragment and every type of hotel accommodation is available from the simple 1-star B&B through the 2-star popular tourist class hotel to the 3-star and 4-star mid-range to the deluxe 5-star hotels, a market which continues to grow ever stronger. accommotel secures for clients the Best Available Rates at London hotels in every price bracket and star rating. London vacation rentals and holiday apartments London have been around for a long time and trace their roots back to holiday home exchange programmes and short term lets. 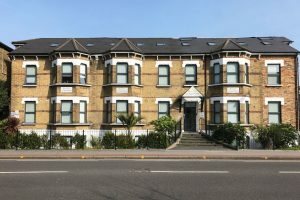 In more recent years, however, short stay apartments have enjoyed meteoric growth and vacation rental in London whether in apartments or whole houses are now available to rent, not only for holidays and short breaks but are increasingly popular amongst corporate bookers for relocation and temporary assignments, whilst staying in a holiday flats London vacation rental. Searching for the right property, you may want to search terms such as: holiday apartments london, holiday lettings london, holiday rentals london, london vacation apartments and VR in london. Founded in 2007, accommotel may have been the first accommodation booking company to combine a reservations service in all these markets and is uniquely positioned to service your corporate and leisure accommodation requirements now and in the future when you visit London and the UK. 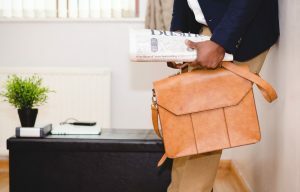 Generally speaking corporate housing is a term used primarily in the USA to describe larger, purpose-built propeties for the corporate market, including relocation. Relocation to London and the UK of executives and their families from one town or country to another relies to a significant extent on corporate housing style accommodation as well as serviced apartments and aparthotels rather than London hotels. Also increasingly important are the professional vacation rental hosts offering apartments and whole houses for London relocation. 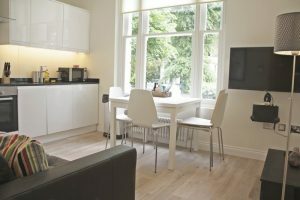 Short term accommodation London includes short stay apartments London of between 1 month and 3 months, or even up to 6 months. Long lets describe stays of over 6 months and have been the traditional rental model for many years. An Assured Shorthold Agreetment or AST is required and the rights and obligations of parties involved are different to the shorter stay models.